If you're looking for a camera phone to capture high-quality images, have a look at our top 16 best camera phone recommendations. Cameras in smartphones have come a long way over the last few years, with a number of features that have greatly improved the quality of images produced by smartphones, including optical image stabilisation (OIS), larger sensors, bright lenses, and even optical zoom making them even better for photography. The photographic capabilities of smartphones have become such a massive selling feature, that many premium smartphones now support shooting "raw" images, so you can take complete control over image processing. Some of the weaknesses of small sensor cameras have also been removed by the use of "computational photography" - for example, Auto HDR, combines images for improved dynamic range, "Bokeh mode" produces DSLR-like images with blurred backgrounds for portraits, and multi-shot night modes offer better low-light shots, with reduced noise. Here we highlight some of the best camera phones we've reviewed, up until now, and what makes them unique so you can make a more informed purchase next time you upgrade/buy a new smartphone. You'll also find more in-depth comments on each of the smartphones featured in our list over in reviews, plus take a look at our technique and feature sections where you'll find a range of articles, including our 8 DIY smartphone photography tricks you must try feature and our food photography basics, that'll have you snapping top smartphones shots in no-time. 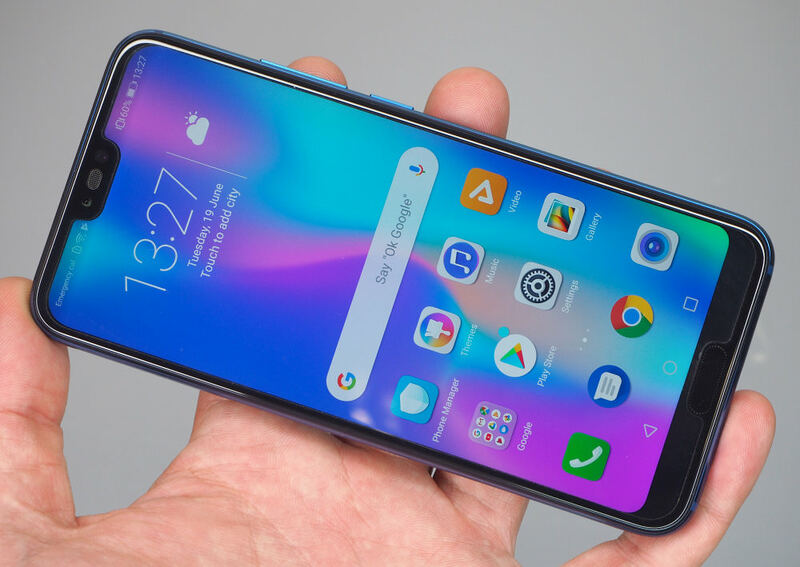 The Huawei P30 Pro is an impressive smartphone that massively improves on the Huawei P20 Pro. There's a triple camera set-up supported by a TOF sensor, 5x optical zoom, 10x hybrid zoom and a 4200mAh battery powering the whole thing. There's a decent amount of storage, good AI features, an improved portrait mode and the P30 Pro takes better selfies than the P20 Pro did. Combine this with its smart design, great display and improved night mode, you've got a smartphone worth paying attention to. 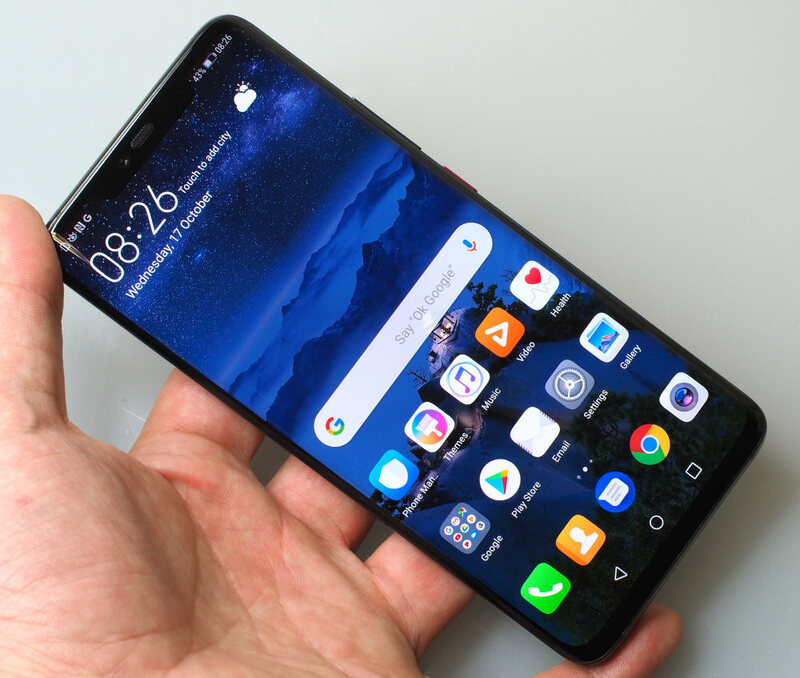 As we said in our review, we can clearly see the direction Huawei smartphones are going in which is definitely an exciting one for photographers and with so much progression in just a few years, it will be very interesting to see what they bring to the smartphone world next. 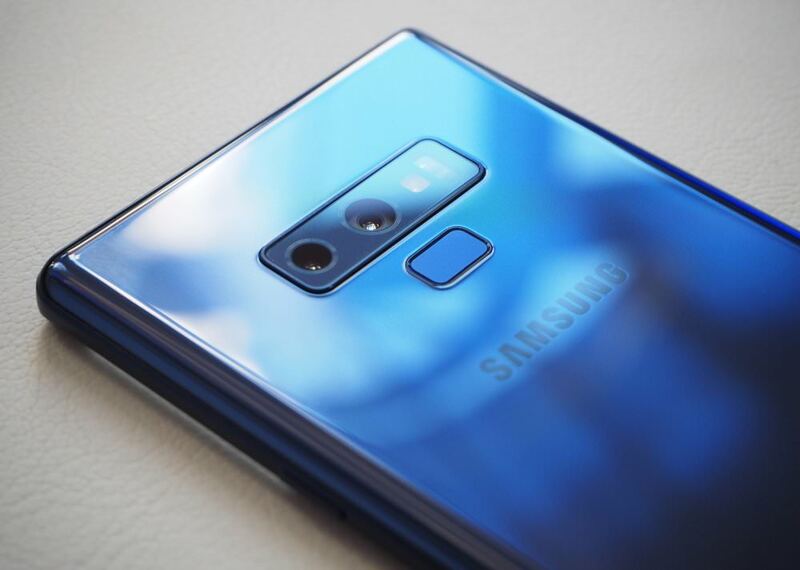 With the same cameras as the Samsung Galaxy S9 Plus, the Samsung Galaxy Note 9 is bound to impress, however, Samsung has updated the software to include auto scene recognition which will automatically apply optimum settings to deliver better photos. There's a large 6.4inch screen which makes composing and viewing photos a great experience. There's manual shooting letting you select f/1.5 or f/2.4 apertures with the wide-angle lens. There's also raw support, Auto HDR, and an 8mp f/1.7 selfie camera with autofocus ensuring selfie's are correctly focused. As you'd expect with a premium smartphone, it's waterproof with an IP68 rating. It has plenty of RAM and storage, and comes with a bluetooth stylus that can be used as a remote shutter release! ISO speeds from ISO50 to ISO1250 can be used, and there's a large 4000mAh battery for great battery life. Camera features at a glance: 12mp, f/1.5-2.4 lens, 26mm equivalent wide-angle, and telephoto f/2.4 lens, Optical Image Stabilisation (OIS for both cameras), 4K 60fps video, 8mp selfie camera with AF, MicroSD slot, raw. 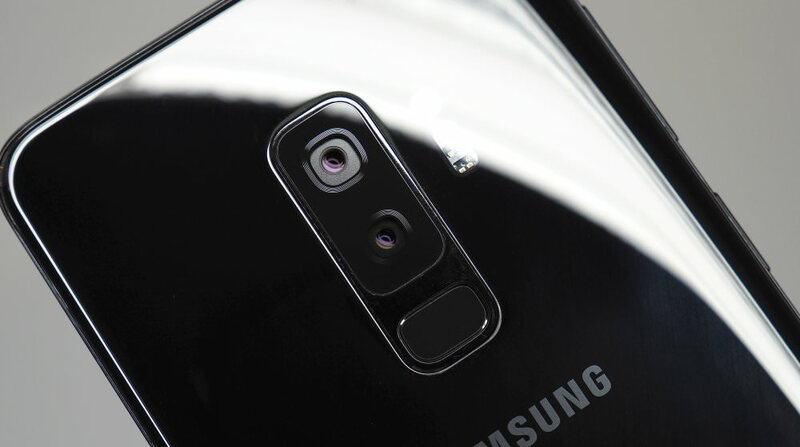 The Samsung Galaxy S9 Plus features an ultra bright f/1.5 - f/2.4 aperture lens, and the S9 Plus has a second telephoto camera. Both feature a 12-megapixel sensor and optical image stabilisation (OIS), and the front selfie camera is an 8mp f/1.7 camera with Auto Focus (AF), which is still quite rare. 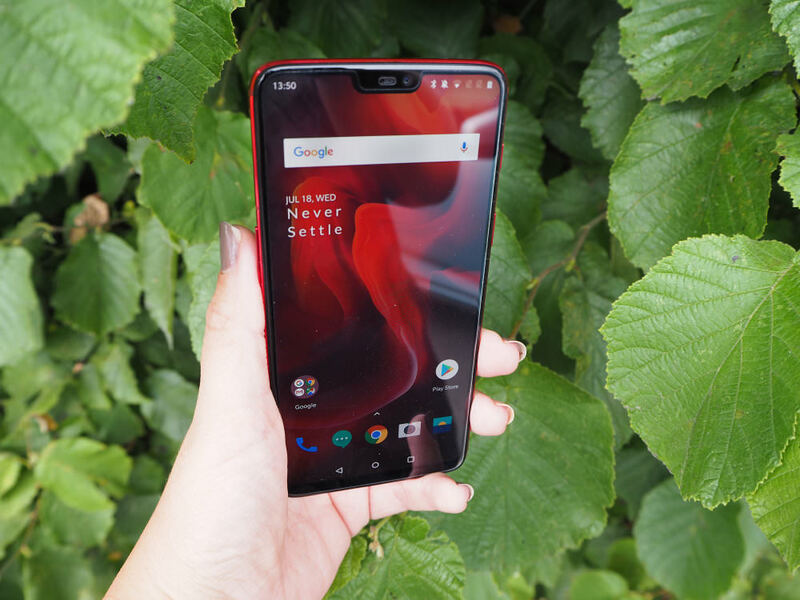 The screen is an impressive 6.2inch Quad HD+ screen that dominates the front of the phone, whilst maintaining a similar size to other phones with 5.5 or 6inch screens. The phone can capture high-speed video at 960fps, 4K video at 60fps as well as 9-megapixel stills when in video mode. It's dustproof and waterproof to a depth of 1.5m for up to 30 mins. With the ability to expand the memory with a microSD card and tough Corning Gorilla Glass 5 on the screen and back on the phone, it's ideal for those who love to get out and about and take lots of images, no matter the weather. It operates at a very impressive speed and you can use the volume control as a shutter button. ISO speeds from ISO50 to ISO1250 can be used, and using the manual mode you can shoot raw images. Camera features at a glance: 12mp, f/1.5-2.4 lens, 26mm equivalent, telephoto f/2.4 lens, Optical Image Stabilisation (OIS), 4K 60fps video, 8mp selfie camera with AF, MicroSD slot, raw. The Google Pixel 3 (and 3 XL) may only have one rear camera but they make up for it by providing some of the best camera software available. This offers a number of intelligent shooting modes that combine a number of shots (often without you even being able to notice any kind of delay). The features include Super-Res technology to give 2x zoom with improved detail. There's a very impressive Night Sight mode, which can give excellent low-light shots. There's a Bokeh effect/portrait shooting mode for portraits, and Auto HDR improves the dynamic range in shots. High-speed continuous shooting may not be new, but the "Top Shot" feature makes it easy to get the best shot, and it all happens quickly, easily, and for the most part automatically. The Pixel 3 also features dual 8mp front cameras, with an ultra-wide angle, and a wide-angle to let you get more people into group shots. 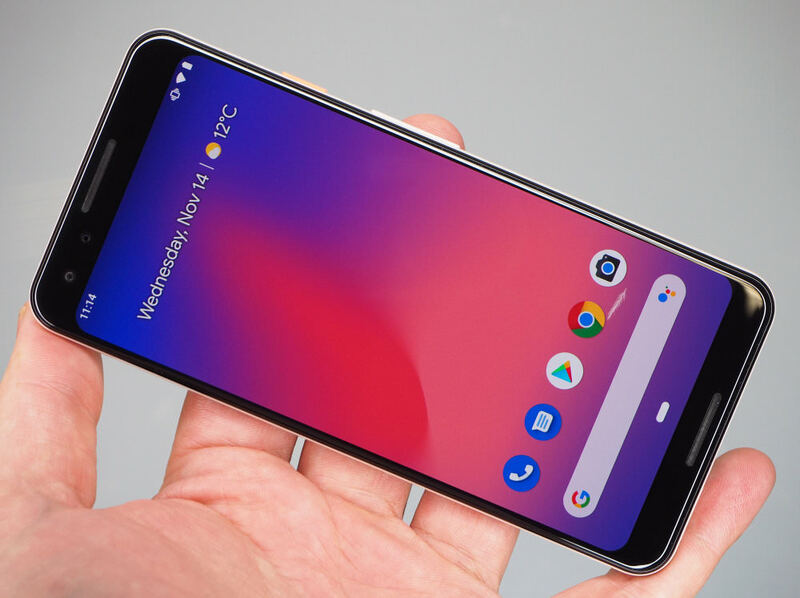 Available in two sizes, as the Google Pixel 3 with a 5.5inch screen or the Google Pixel 3 XL with a 6.3inch screen and larger battery. Like other premium smartphones, the Pixel 3 is waterproof. Camera features at a glance: 12mp, f/1.8 lens, 26mm equivalent, Optical Image Stabilisation (OIS), 4K 30fps video, dual 8mp selfie cameras (ultra-wide and wide-angle), raw. 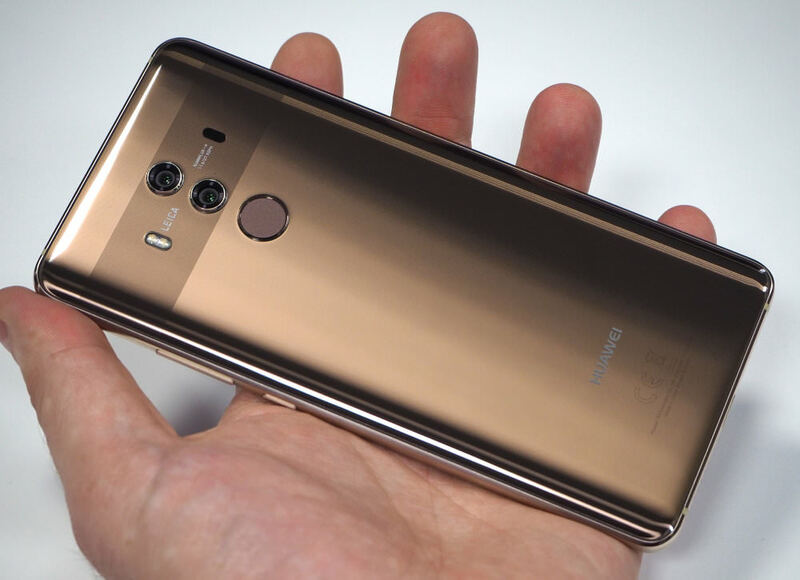 The Huawei Mate 20 Pro feels, and looks, like a true flagship device, with an abundance of technology crammed into a stylish and relatively compact smartphone, considering the large 6.39inch screen. The camera is generally great, there's a good ultra-wide-angle camera, with an impressive 2.5cm macro mode. The main camera is the best of the three, giving good results in a variety of situations. The 3x telephoto camera, as we found with the P20 Pro, can struggle with focus (particularly when capturing video). When you switch between the standard and telephoto cameras, the colour saturation often changes, too, however, when the camera does get it right, results can be very good. 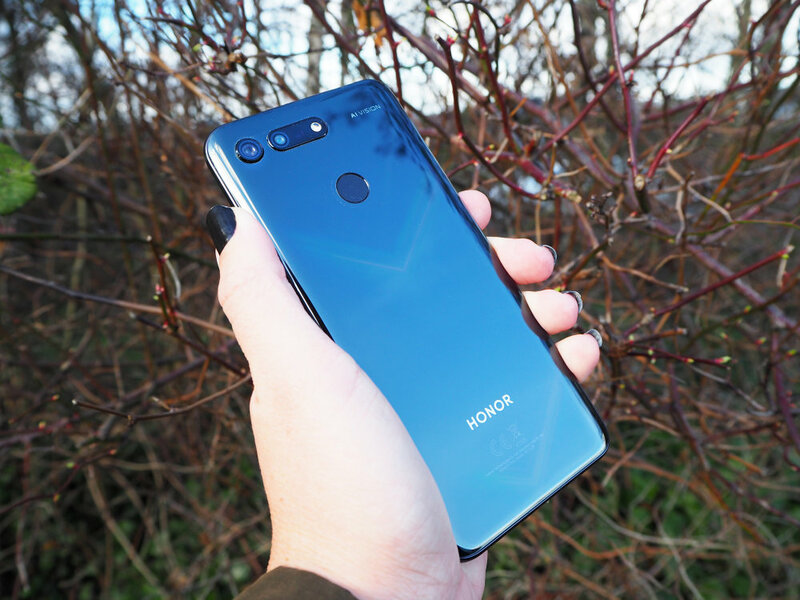 If you look at the Huawei Mate 20 Pro as a cutting-edge smartphone, with a very good standard camera, with the option of an ultra-wide-angle and 3x telephoto cameras as optional extras, then you have an extremely versatile smartphone. However, if you expect the ultra-wide-angle and telephoto cameras to be as good as the main camera, then you'll most likely be disappointed. For the dedicated photographer, you can shoot in Pro mode, and get better images by processing the raw files yourself. For everyone else, you can get great results leaving the camera on default settings, and leaving Master AI to sort everything out for you. 95% of people who buy this smartphone will be extremely happy with the cameras. The fussy, or the more serious photographers, may wish it was just a tiny bit better. 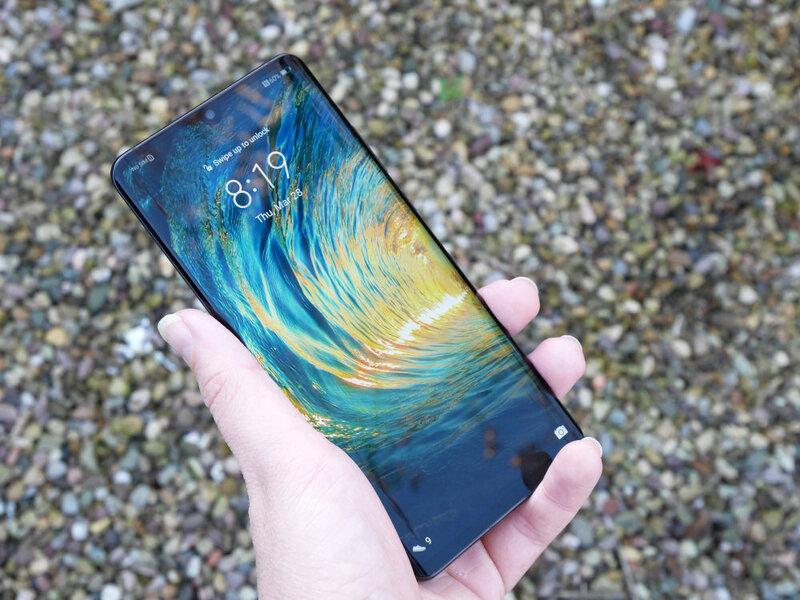 Overall, the Huawei Mate 20 Pro is a true flagship smartphone, pushing the boundaries of what's considered possible with a smartphone, with a stylish design, in-screen fingerprint reader, face recognition, 3D scanning (coming soon), impressive battery life, extremely fast processor, plenty of storage and more. With three cameras it offers a variety of shooting possibilities, and will certainly keep the majority of people very impressed. 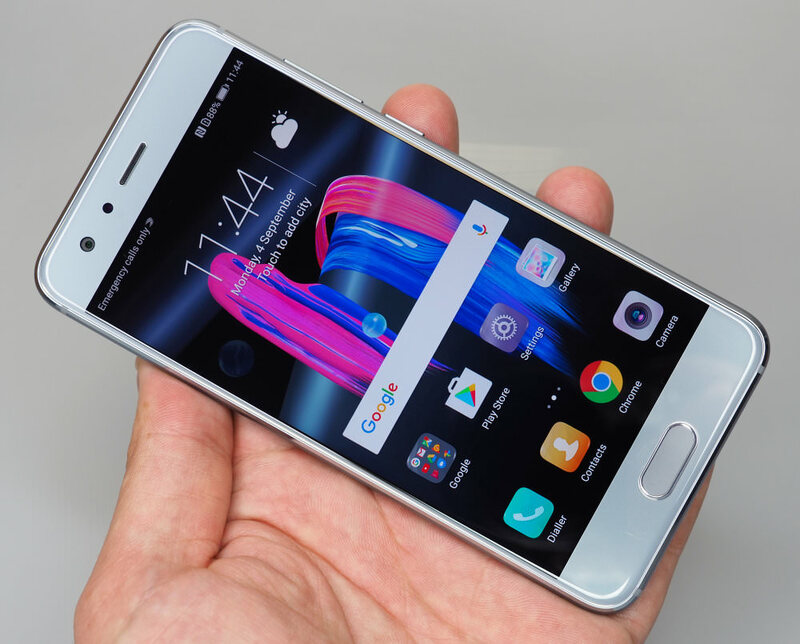 The Huawei Mate 10 Pro is Huawei's top of the range flagship smartphone, not only does it feature dual Leica f/1.6 cameras with colour and black and white sensors, but also features a top of the range processor, that includes a "Neural Processing Unit" designed to speed up "Artificial Intelligence" (AI), for both smartphone and camera features. The Huawei Mate 10 Pro is a large smartphone, thanks to a 6inch screen, and it's set up with a 12mp f/1.6 colour camera, and a 20mp f/1.6 black and white camera, both lenses equivalent to 27mm in 35mm terms. The main 12mp colour camera features optical image stabilisation, and there is prominent Leica branding next to the cameras on the back, as well as a Dual LED flash. The camera can record 4K (UHD) video, as well as high-speed video at 120fps at FullHD resolution. If you're looking for a large smartphone, with an emphasis on the camera(s) included, then the Mate 10 Pro certainly offers a complete package. 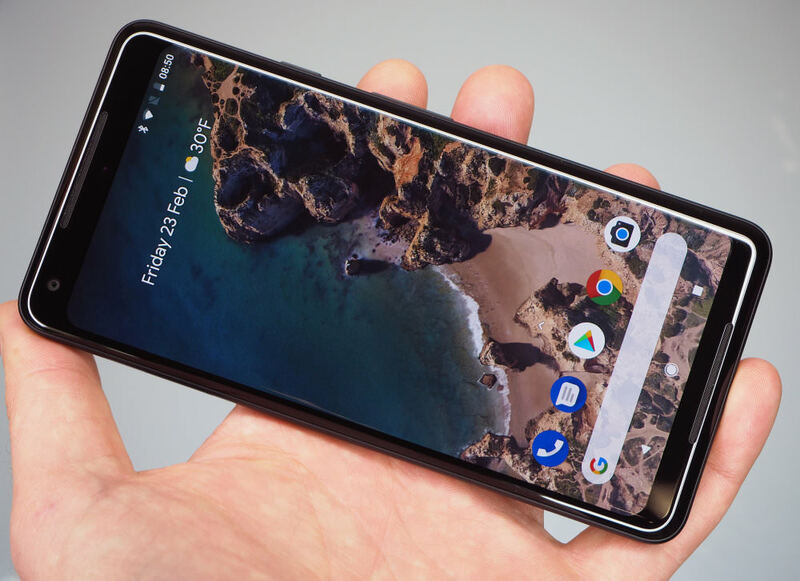 The Google Pixel 2 XL ticks all the boxes for a flagship smartphone, with a large 18:9 screen, waterproof body and optical image stabilisation. It also makes up for the lack of a second camera by producing some excellent images. It's a shame there's no headphone socket, and we'd like to see more manual control in the default camera app, as settings for the ISO speed and raw shooting would be useful, without having to download other apps. Saying that, for most people, the Google Pixel 2 XL will be a great camera as it's easy to use and produces great results. The main camera performs really well and we really like the camera app which is really intuitive and easy to use. It's a shame the second rear camera doesn't give a longer focal length or something a bit different like a black and white camera (as Huawei do) but with how well the lenses that are built in perform, it's not really a complaint, more of an 'it would be nice'. 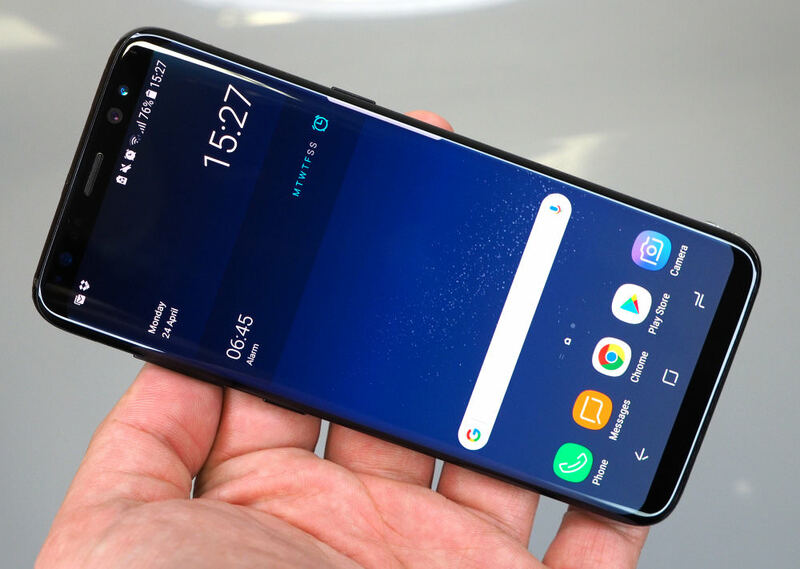 The screen size is excellent and viewing isn't a problem and the phone looks smart, particularly the red version which is definitely eye-catching. Camera features at a glance: Dual 16mp and 20mp f/1.7 lenses, 27.22mm equivalent, Optical Image Stabilisation (OIS) & Electronic Image Stabilisation (EIS), 4K video recording. The Apple iPhone X marks the 10th anniversary of the iPhone and the iPhone X's camera which builds on the dual camera of the iPhone 7 Plus, but features updated cameras, with both the wide-angle (28mm equivalent) and telephoto (56mm equivalent) lenses now featuring Optical Image Stabilisation (OIS), a brighter aperture for the telephoto lens (f/2.4 instead of f/2.8), and a larger sensor. Both dual cameras feature 12-megapixels, same as the iPhone 8 Plus, and the wide-angle lens features an f/1.8 aperture. The front 'selfie' camera has 7-megapixels as well as an aperture of f/2.2 and you can use Portrait Mode to create 'bokeh' in the background of your self-portraits. Some other features worth mentioning include the 5.8" super retina HD screen which is surrounded by a smaller bezel so the smartphone remains a reasonable size, a water and dust resistant design and those who capture video can now do so in 4K up to 60fps. As with previous iPhone models, there's no headphone socket. The iPhone X is unmistakably a premium smartphone that's built well, feels solid and looks really great. 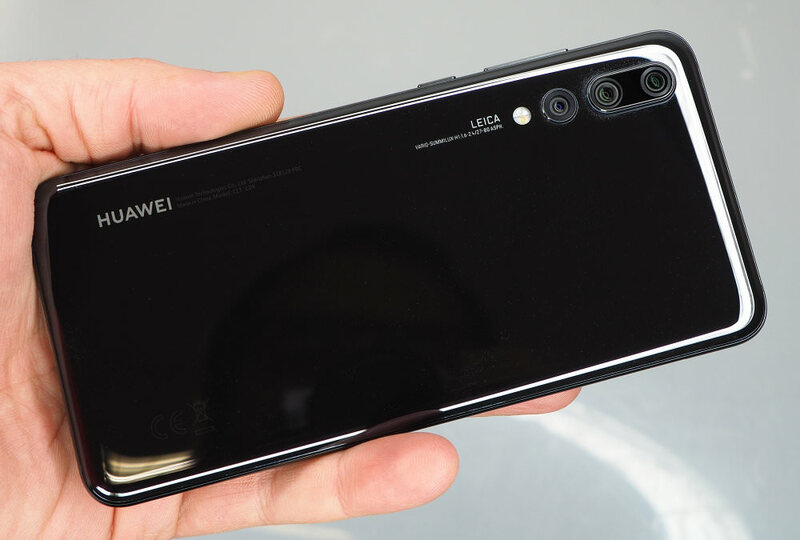 The Huawei P20 is a well-built smartphone offering an outstanding set of cameras, which are sure to please even the most discerning of smartphone photographers. With lightning-fast reaction times and plenty of shooting options including a Pro mode that lets you shoot RAW images and offers full manual control, the phone is a great choice for those that want a phone that's designed with the photographer in mind. Is this necessarily a bad thing? No, it's not, but with the device advertised as a 48-megapixel shooter, it would be nice to see this resolution used and available more often. When you can shoot 48MP images, detail is excellent and you only have to compare similar shots taken with a smartphone with a smaller sensor to see the difference. Having said that, you do have to look rather closely to see how much detail the smartphone is capable of capturing in a 48MP image so is it something most will need? Perhaps not, but the option is there so why not invest in a smartphone which gives you the option to shoot in a little more detail? Even more so if it won't break the bank. If you're looking for a smartphone that's full of camera features and is capable of taking really good photos - have a look at this one. The iPhone 8 Plus' rear camera is the same 12MP camera you find on the iPhone X and it also features the same two lenses: wide-angle (28mm equivalent) and telephoto (56mm equivalent). Optical image stabilisation is built in but it's not Dual, as you find on the iPhone X, and the telephoto lens isn't quite as bright, offering a maximum aperture of f/2.8 when it's f/2.4 on the iPhone X. Even though it's not quite as bright, low light performance should still be better than past iPhones could offer. 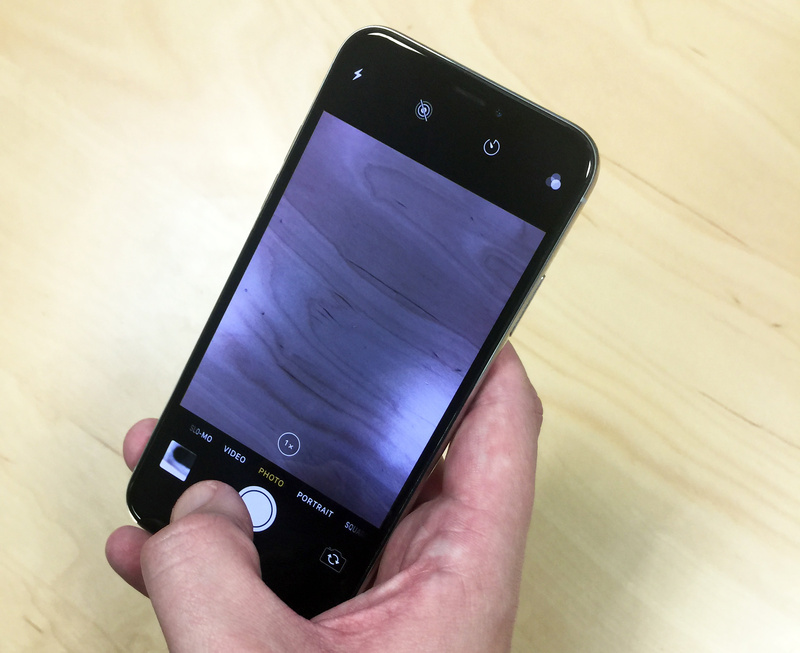 As well as the large sensor which Apple says has been re-engineered, there's a new image signal processor built in to improve the quality of colours and textures in images. There's also a new A11 processor, a glass back design which allows for wireless charging and the same portrait lighting modes found on the iPhone X (currently in BETA). WIth Portrait Mode, you can create 'bokeh' in the background of your portraits, adjust the lighting of the scene or 'cut' your subjects out so they appear on a black background. 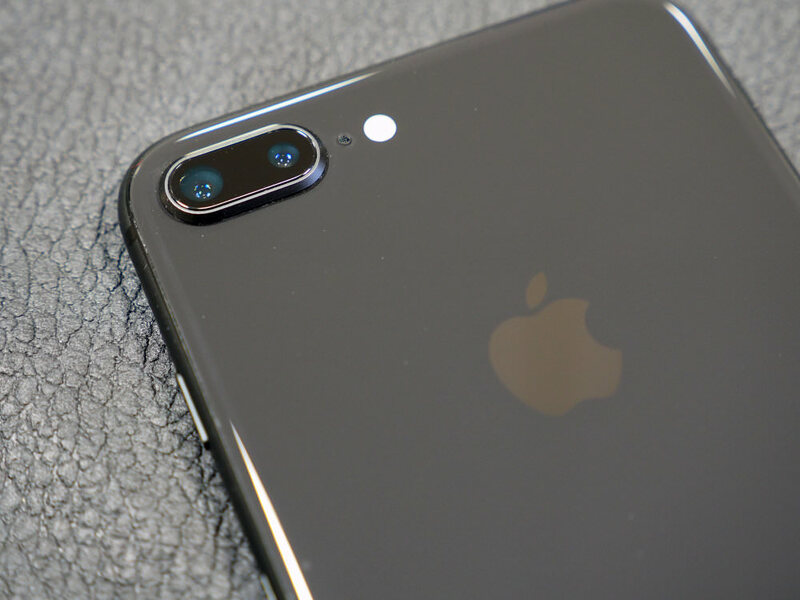 The front 'selfie' camera on the iPhone 8 Plus as 7-megapixels as well as an aperture of f/2.2, retina flash and it can be used to capture video in 1080p HD. The native camera app is still annoyingly basic and for some photographers, it just won't offer enough in the way of manual control to keep them happy. Yes, low light performance has been improved slightly but not enough to make it groundbreaking and the built-in portrait modes do give portraits a more pro feel, when used under the right conditions, but these two things alone aren't enough to compete with the likes of the Mate 10 Pro with all of its manual bells and whistles. Other great features include the iPhone 8 Plus' water and dust resistant design, 4K video and the range of apps which are available for iOS. 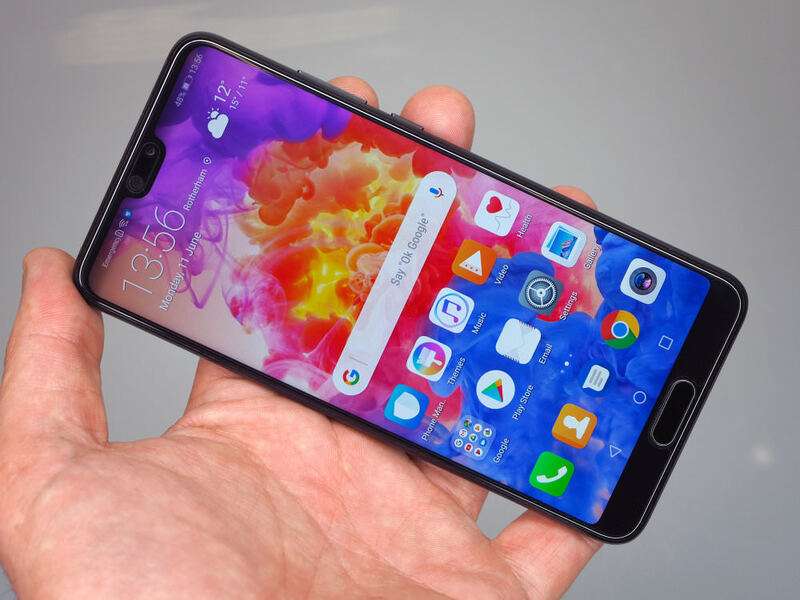 The Huawei P20 Pro is a stylish high-end smartphone and the first to feature three cameras on the back, however, the results don't necessarily live up to the hype. On first impressions, and as long as you don't look at the photos in too much detail, the P20 Pro produces reasonable results. The ability to shoot photos with a 7-second exposure handheld when taking night photos, is quite breathtaking, as long as you don't mind the soft image that you get. If you're more serious about photography and do want to spend time editing photos or use them for something more important, then you get better images from the alternative smartphones mentioned, albeit without the same number of cameras. The ratings given in the group give 12 of the 15 the same 4 and half stars each. No much of an in depth analysis If they were tested as a photographer I am sure there would be some variation. May we assume that the first one in the review is the top choice. Quote:May we assume that the first one in the review is the top choice. Yes, it is and you can find more detailed information, along with images captured with each phone, by taking a look at the full reviews which are all linked to.